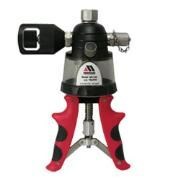 Meriam’s hand pumps can be used with a variety of products such as our MGF16BN gauges, manometers, Model 35EE Meri-Cal, MFT Series, M2 Series Smart Manometers and the M1 Series Digital Manometers/Calibrators. The MH-10KT uses a fully adjustable stroke control to allow for fast priming or filling of test systems. This gives the operator the ability to switch as needed to a smaller stroke for easier pumping at high pressure. The SGe is an economical, FET based, high switching speed, programmable, dc power supply alternative to SCR and IGBT based dc supplies. Most topologies use either a MosFET or IGBT approach within their power stage to execute their power conversion topology. At the same time end users value low output ripple and noise in conjunction with achieving high slew rates. Both IGBT and SCR based designs typically run at much lower switching speeds requiring a larger LC output filter design for similar performance or require degrading ripple and noise performance in order to maintain competitive power densities. The filter design in this case may be balanced to trade off performance of response time with output ripple and noise and densities. The SGe, with its outstanding FET based power electronics, is available for customers requiring simple front panel analog controls or external control. With high performance power electronics the SGe provides essential features like 10- turn potentiometers for setting voltage and current, 3½ digit LED readout plus front panel over-voltage protection (OVP) preview/adjustment and reset. 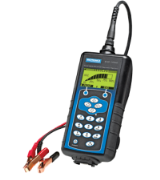 The MFT 4010 Series delivers the versatility of a calibrator and the convenience of HART communications in one handheld unit. Users can view up to four measurements simultaneously on the high resolution LCD or compare HART PV and AO values to corresponding values measured by the NIST traceable MFT. Available modules include differential, gauge, vacuum and absolute pressure as well as temperature and voltage/current. 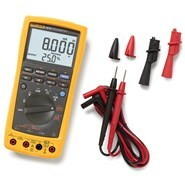 A voltage and current meter is integral to the base unit. All HART field devices can be configured, polled and trimmed using HART communications. Device Specific commands for supported devices are included with the MFT. 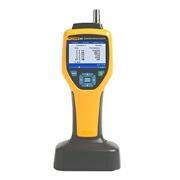 The MFC5150 HART® Communicator is the latest addition to Meriam’s product line of calibrators and communicators. 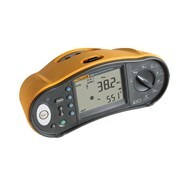 Available in ATEX (intrinsically safe) and Non-ATEX models, the MFC5150 directly reads Device Descriptions without any translations or subscriptions, enabling communication to take place with any registered or unregistered HART® device…ensuring your HART® transmitter will connect, regardless of brand or model. The MFC5150 is built on the SDC-625 infrastructure and runs Windows CE. With a 1GHz processor and an 4GBMicro SD card, the communicator is ideal for all of your data storage needs. The 4.3 inch touchscreen provides excellent anti-glare viewing, allowing for comfortable use in darkness or in bright sunlight. All functions are easily navigated via the full QWERTY keyboard and intuitive icons similar to that of a smart phone. There are also hyperlink menu paths, teachable device specific shortcuts, instant on, multiple languages, help context, video’s and TAB access to panes just like on a computer. This model is designed for high-temperature work—up to 550 °C. Most labs use this as a salt bath for calibration of thermocouples, RTDs, and SPRTs. In fact, this bath is so good you can even do comparison calibrations of SPRTs with it. The bath is stable to ±0.005 °C or better at 300 °C. Fluke Calibration is the only company that offers complete automated calibration software packages that work with the bath interface option. Our optional software is not just a data acquisition package; it actually controls the calibration, including bath temperatures. Choose the model that most closely matches your needs. These baths are compatible with salt for higher temperatures and also with oils for lower temperatures. Fluke sells a complete selection of salt and fluids for your bath. You can find these here. Salt baths offer better performance and less mess than sand baths. SPRT comparison calibrations in a sand bath aren’t reliable the way they are in a Fluke Calibration salt bath. All options, including the automation interface package, are available for the 6050H. It is the finest-quality salt bath you can buy! If you need to reach the maximum temperature possible in a salt bath, the Fluke Calibration 6050H goes to 550 °C and is 10 to 100 times more stable than alternative calibration devices. It is 305 mm (12 in) deep and has a 127 x 254 mm (5 x 10 in) well opening for easy access. Ports in the rear of the bath access cooling coils if you want to cool the bath rapidly with external fluids. Find a salt bath for calibration at extremely high temperatures (550 °C). Fluke Calibration metrology baths are well known world-wide for excellent temperature control that maintains excellent temperature stability (±0.002 °C) and uniformity (±0.005 °C). You’ll find more Fluke Calibration baths in national labs than any other brand, and there’s a reason for that. No one else can match the stability, uniformity, and performance of a Fluke Calibration bath, and we absolutely guarantee it. The SFA family builds on the industry leading Sorensen SGA series to provide a high power current source for laser diode applications. State of the art high power laser diodes require well-regulated current control to avoid catastrophic damage. Under anomalous operating conditions, excessive stored energy in the output circuit of the power supply can result in peak stresses that can permanently damage the device. Providing a constant current regulation mode only, the SFA’s low stored energy output minimizes damage potential for sensitive devices as well as enabling a current slew rate of up to 400 A/msec. E-DWT can run stand-alone tests and collect test data for dead weight tester calibration. 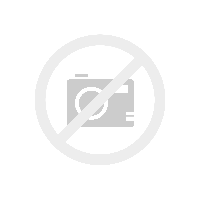 Test data can be downloaded over the RPM4-E-DWT’s RS232 interface. Fluke’s calibration, testing and repair services are dedicated to satisfying your needs quickly and at a fair cost while maintaining the unmatched level of quality that is our trademark. Fluke’s calibration laboratories are accredited by the American Association for Laboratory Accreditation (A2LA) for conformance to ISO Guide 17025. 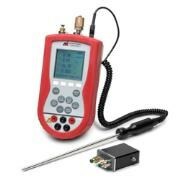 Fluke Calibration has access to global calibration and repair facilities to keep your dead weight tester and other hardware in top working order. If you need training for yourself or your staff, Fluke Calibration offers a broad range of classes including: the principles and practices of pressure calibration, advanced pressure metrology, gas flow calibration using a molbloc/molbox system, setup and operation of COMPASS® for Pressure calibration software, and other electrical, temperature and RF calibration topics. The Fluke Calibratoin commitment to support provides additional benefits as well, including invitations to software user group meetings and conferences, periodic email bulletins and a Fluke Calibration newsletter. Flash memory for simple and free embedded software upgrades from Fluke Calibration. 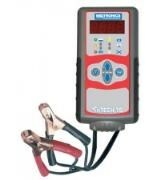 Using the Midtronics inTECH 15 battery/charging system tester, technicians now have a version of the same tester required for use in OEM dealer service organizations around the world. The inTECH 15 makes the leading technology affordable, so every technician can experience the advantages of conductance testing: a safe, fast, simple and portable system that improves productivity and accuracy. 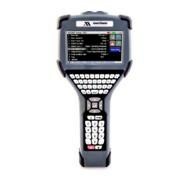 The EXP-1000 Handheld Expandable Electrical System Tester enables you to accurately and decisively diagnose every part of the electrical system, from the battery to the starter and alternator.